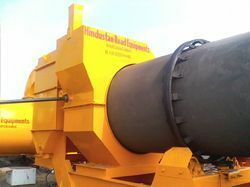 Leading Exporter of drum mix plant dm45, asphalt drum mix plant and mobile drum mix plant from Ahmedabad. We hold expertise in providing an optimum quality Drum Mix Plant which is well known of its higher production performance. This mix plant has a cold aggregate feeder that is built upon robust chassis which helps it for smooth performance. Our procured mix plant has gained demand all across the globe because of its easy operation and quick performance. In addition to this, it has a gathering conveyor that is run by AC Motor. Having a distinct excellence management system, we are regarded as the noteworthy trader and exporter of Asphalt Drum Mix Plant. In order to meet up the set quality standards, the procured plant is designed with Modern Drum mix Technology due to which it is able to proffer high production rate. The offered drum mix plant is tested on a number of parameters to assure flawless performance. 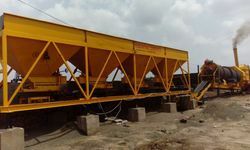 We are the leading manufacturer and supplier of Mobile Drum Mix Plant. It is manufactured using quality raw materials and latest technology.Furthermore, these products are checked on various quality parameters to ensure its defect-free nature.